Wine is one of the fundamental reasons why tourists come to Colchagua Valley in the first place. Since the birth of the grape in the vine and its harvest, all wine cellars show what they do, having in this valley an amazing amount of wineries to choose from. 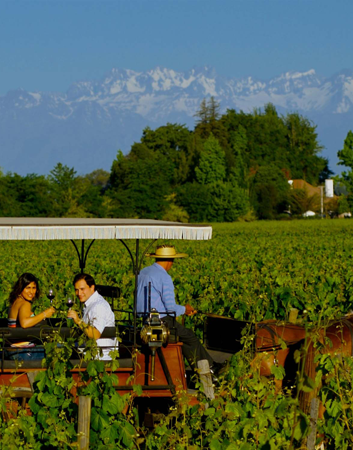 Big vineyards with great technology, small and exclusive vineyards that few people know, horse ride and picnic between the vines, and tasting the best of the products they have to offer are some of the activities that the guests that come to Colchagua can try. Even some vineyards offer the chance of making your own wine and take it back home.